A turning point in the brand’s fluid-based technology is the light source module developed for its Metropolis model, which can now be found in the attention-grabbing new Skull Pocket. Two LEDs are activated by a micro-generator that is integrated in the case, bathing the statement pocket watch in a soft blue light and giving the green liquid a stunning fluorescent glow. Gritty yet modern, Skull Maori makes a striking impression with a hand-engraved motif on the dial in the style of a Maori tribal tattoo. Doing away with the hour and minute hands, as the brand loves to do, the watch boasts a coloured liquid-filled capillary instead. The right eye gradually darkens as the piece nears the end of its 65-hour power reserve, while the left eye indicates the seconds. 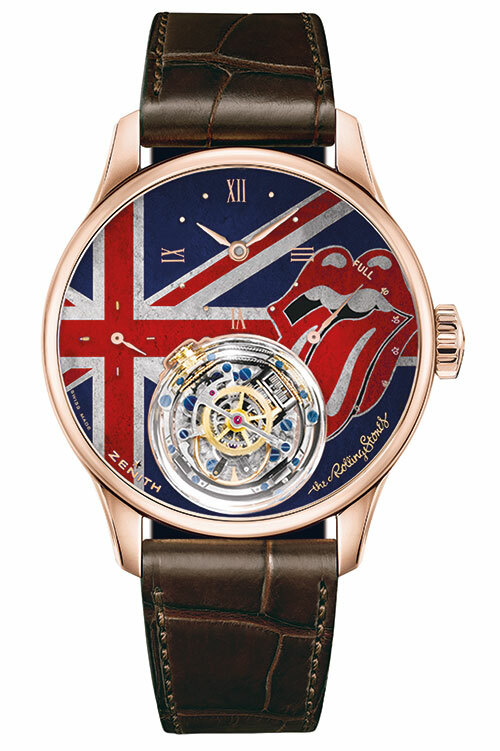 Academy Christophe Colomb Tribute to The Rolling Stones is a bold, graphic model designed to mark the band’s milestone performance in Cuba last year. The famous ‘tongue and lips’ logo is splashed against the British flag on an enamel dial, topped with a 50-hour power reserve and a patented Gravity Control gyroscopic module. 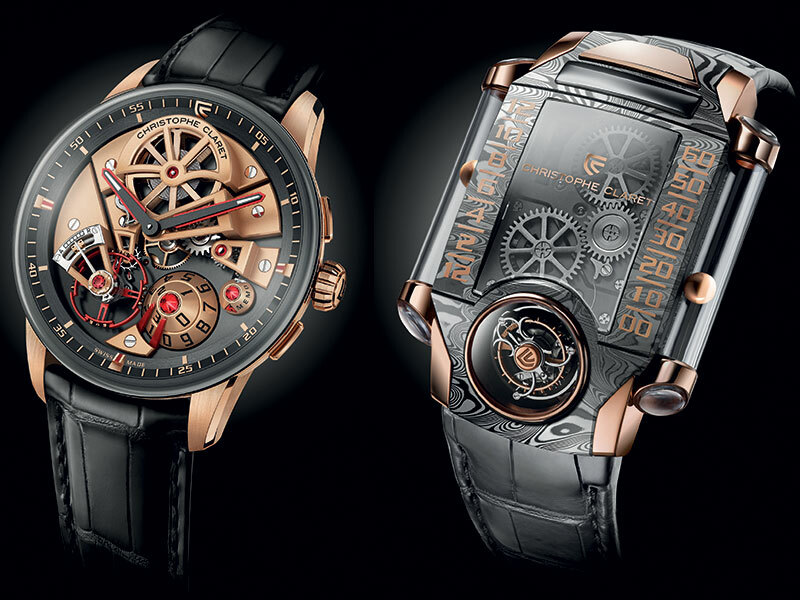 A water-resistant rose-gold case frames it, punctuated by hand-engraved hour markers swept over by gold-plated hands. Colours explode across the showstopping dial of the RM 68-01 Tourbillon Cyril Kongo, created in collaboration with the graffiti artist the timepiece is named after. Each piece in this limited edition of 30 has been painted by hand, using special micro spray painting tools, and the hand-wound movement is housed within an asymmetrical case comprising an NTPT carbon case band with black ceramic bezels. 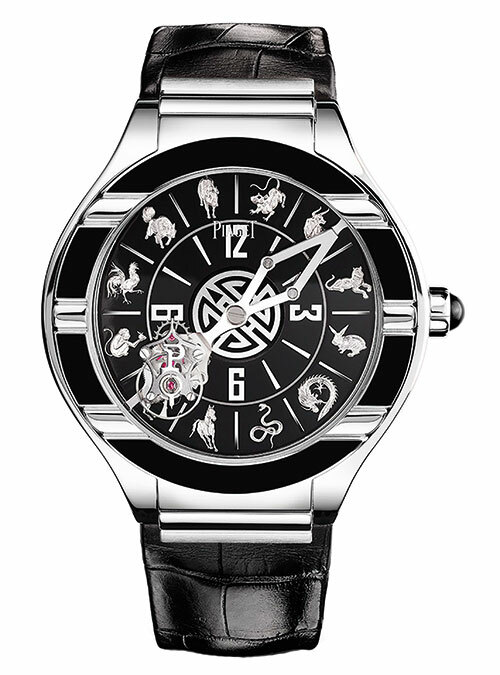 The 12 signs of the Chinese zodiac make for an eye-catching display on the Polo Tourbillon Relatif. The unique piece in white gold and black enamel employs champlevé grand feu enamelling along with delicate hand engravings of each animal. The watch can be entirely personalised, from its dial to the caseback, where the Chinese symbol for longevity is engraved and then delicately enamelled. A veritable work of art created by Chinese artist Yue Minjun, the Classic Fusion Monkey Artistic Watch is the watchmaker’s first Chinese zodiac and contemporary art-themed timepiece. 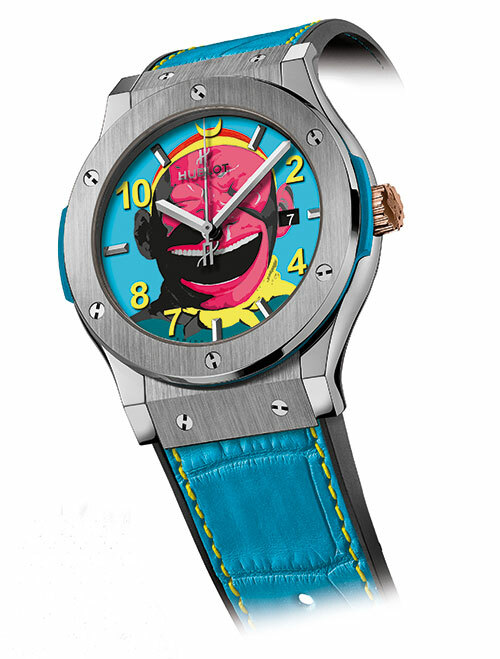 The mythological Monkey King’s bright pink face grins on a blue dial, the 41-mm case has a bezel decorated by six of the brand’s symbolic H-shaped titanium screws and each model is fitted with a natural rubber-lined alligator skin strap. 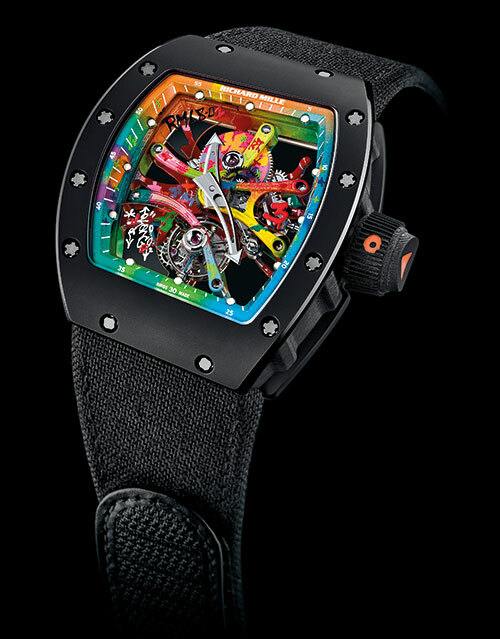 The lively Happy Mickey watch brings together the worlds of fine horology and classic entertainment. A white mother-of-pearl dial is stylishly complemented by a stainless-steel case and white PVD bezel, held in place by a white satin strap with a tang steel buckle. 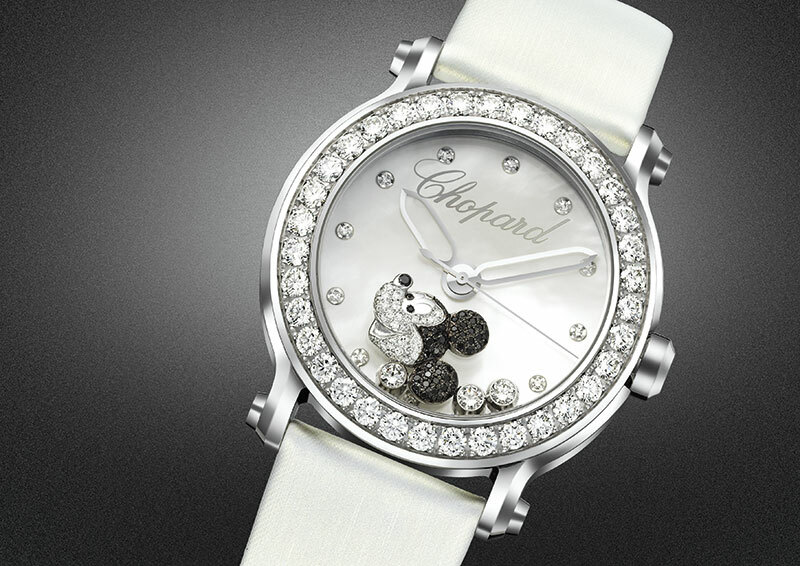 The design highlight, however, is the floating Mickey head — set with black and white pavé diamonds — that accompanies the three signature ‘happy diamonds’. The fresh-from-SIHH 2017 Maestro counters traditional design codes with a dynamic dial featuring a large conical date display set with either a natural ruby or sapphire. 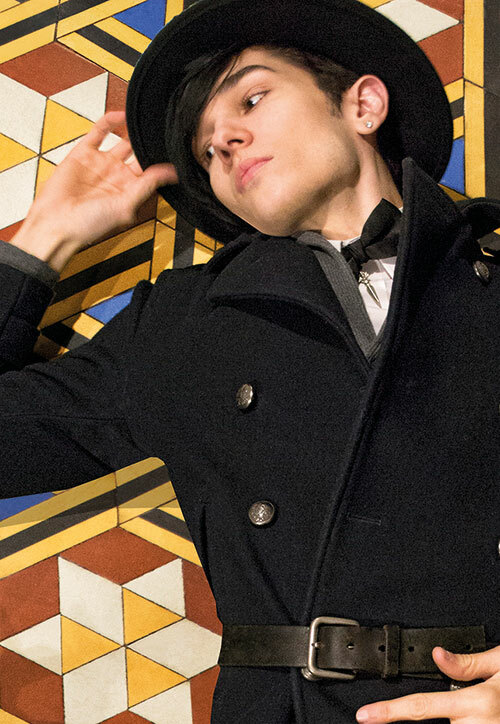 Flaunting 26 interior angles, the stepped Charles X-style skeletonised bridges represent a blend of classicism and modernity, as do the two-toned, bi-material hands. 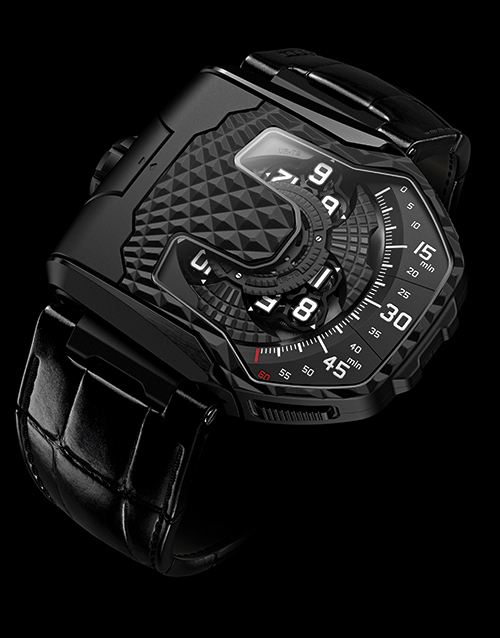 In the X-TREM-1, two hollowed steel spheres — isolated within sapphire tubes on the left and right sides of the case band — move with absolutely no mechanical connection, thanks to a magnetic field. Another radically different departure from watchmaking conventions is the retrograde hours and minutes display system and a flying tourbillon inclined at a 30-degree angle, mounted on a three-dimensional curvex titanium main plate. 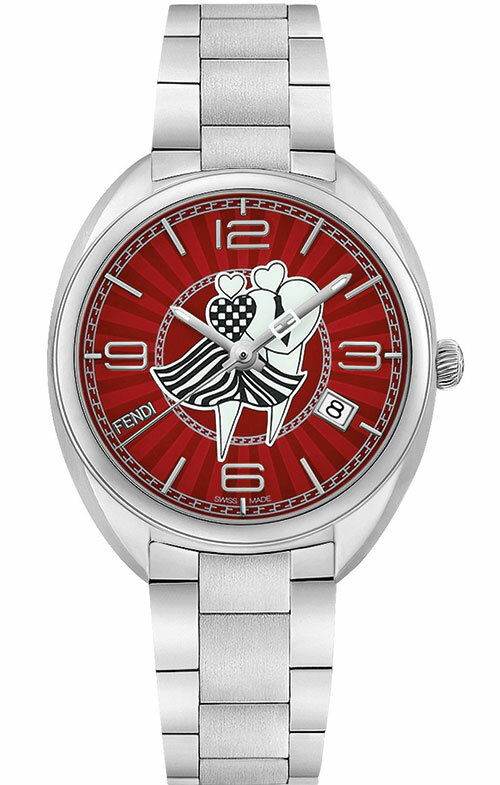 Making for a charming Valentine’s Day acquisition, the new Momento Fendi Lovers piece features two lovers — designed by Karl Lagerfeld — enamelled in a black-and-white graphic style. Luminescent hearts light up the crimson dial, which is offset by silver hands, numerals and indexes as well as a polished and satin-brushed stainless steel case and bracelet. 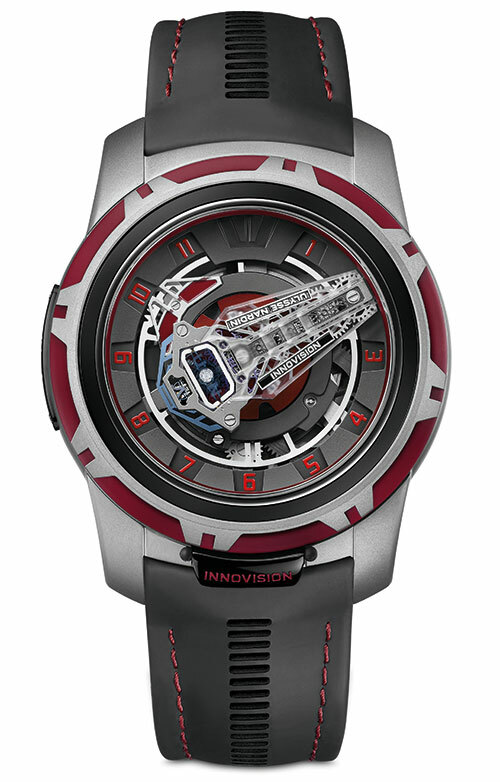 Marking the watchmaker’s first appearance at SIHH, Freak Innovision 2 boasts 10 innovations and 10 patents. These include a dual constant escapement, 24-carat gold wheels, three-dimensional glass minute hands and Super-LumiNova-filled channels integrated into a glass balance wheel bridge. By now, one can only expect the best futuristic designs from the brand, and the Horological Machine N°7 or HM7 Aquapod doesn’t disappoint. 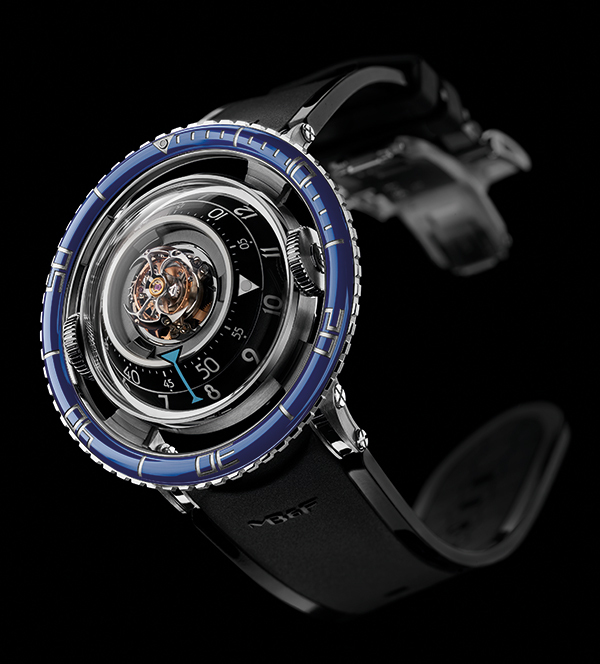 An impressive flying tourbillon sits at the top, surrounded by radially symmetric rings displaying the hours and minutes, as a titanium rotor — with tentacle-like arms — spins below. Two large crowns on the right and left float between the movement and the bezel (which is available in both black and brilliant blue) while the Lume on the numbers, and panels that light up the watch, make it even more compelling in the dark. Essentially a wristwatch that doesn’t tell the time, the brand new Playground Labyrinth made a splash at SIHH 2017. The dial is a piece of wearable art, a maze that is made of 18-carat rose or white gold and enclosed by a brushed and polished titanium case. Inspired by the brand’s co-founder and CEO’s childhood and the games he played when visiting his grandparents, the watch comes with a mechanical lift that is operated by turning the crown. 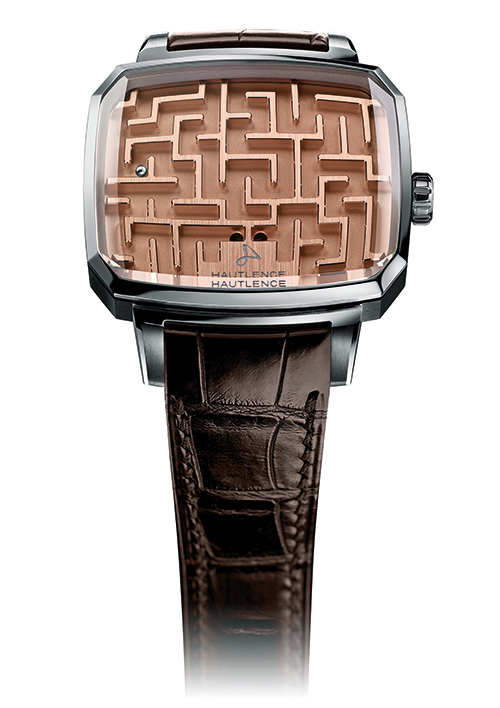 It transports the platinum or rose-gold ball from the underside of the dial to the starting point of the maze, allowing for its owner to get lost in the moment. Crafted in close collaboration with Nintendo, Donkey Kong pays homage to a pioneering arcade game. Staying true to the original 1981 aesthetics, a pixelated effect adorns the DLC-coated dial. 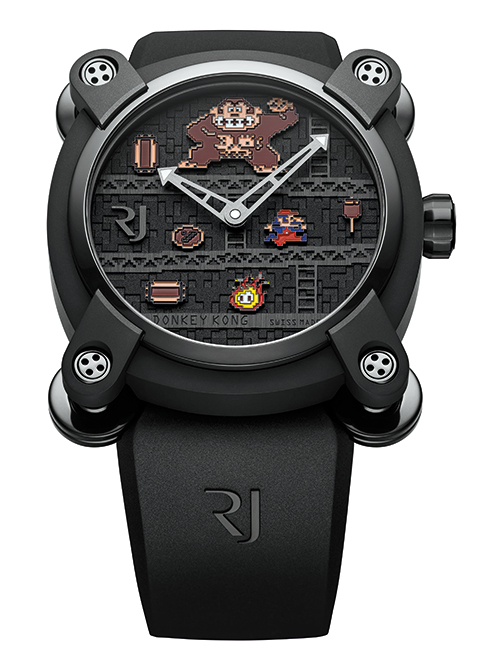 Appliques of both the timepiece’s namesake and iconic character Mario finish the throwback design. 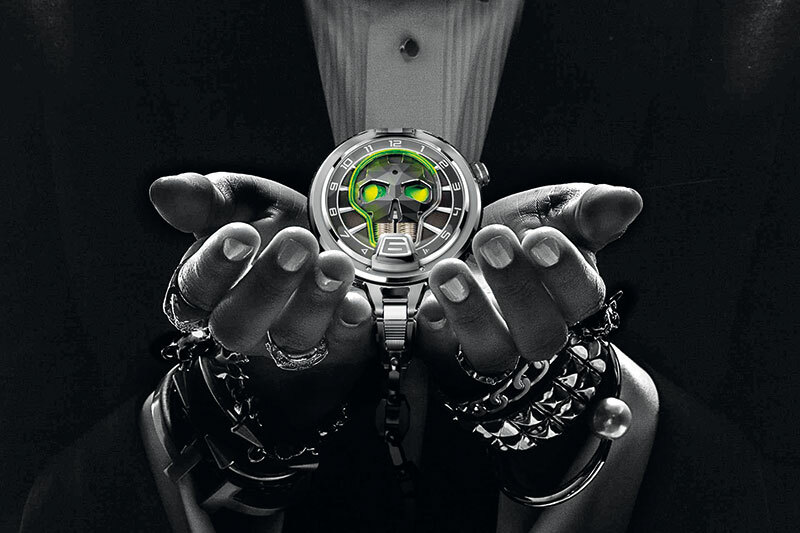 To commemorate its 20th anniversary, the zany brand presents the UR-T8, its first transformable watch. One can unlock the case from its cradle, flip it over and secure it with a click, leaving an intriguing textured titanium shield on top and the time display facing the skin of your wrist. Squeeze the two buttons on the side of the case to repeat the swivelling motion and once more reveal the dial — which features the trademark wandering hour carousel indication.